Please note, there are small spots and streaks on the inside of the glass that are only visible when the screen is dark or off. Includes IR Remote, Wall Mount, and Touch Pen. LCD is fully operational and functions as intended. Also note that this is a very large item and will be shipped via freight delivery option. 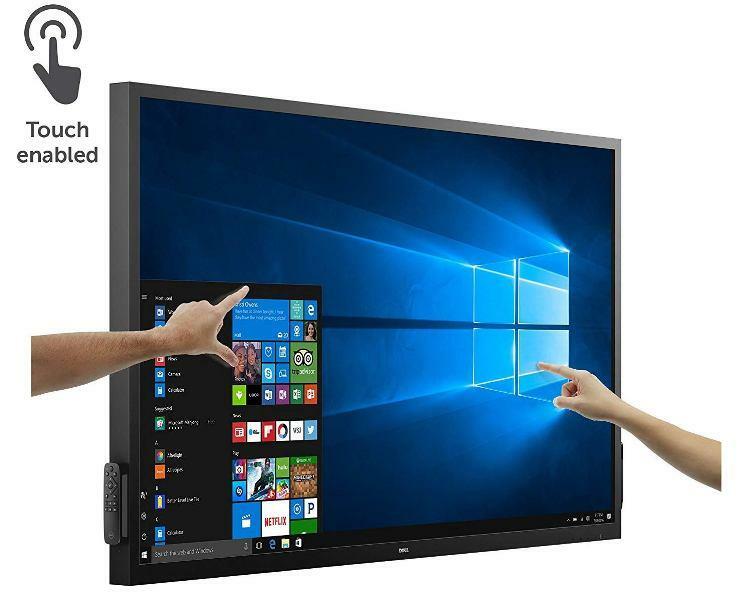 Dell 70" Interactive Conference Room Touchscreen Monitor. Quick to setup and easy to manage, the Dell C7017T Monitor brings seamless collaboration to your conference room. See work in a new light and interact like never before with exceptional touch screen accuracy, crisp text and bright images, even in fully lit meeting rooms. See work in a new light and interact like never before with exceptional touch screen accuracy, crisp text and bright images, even in fully lit meeting rooms. Supreme interaction: Whether you’re using your hand or the two included styluses, the 10-point touch capabilities will ensure accuracy no matter your preference. Always in reach: Keep your accessories organized by magnetically attaching the styluses and the remote to the side of the screen. 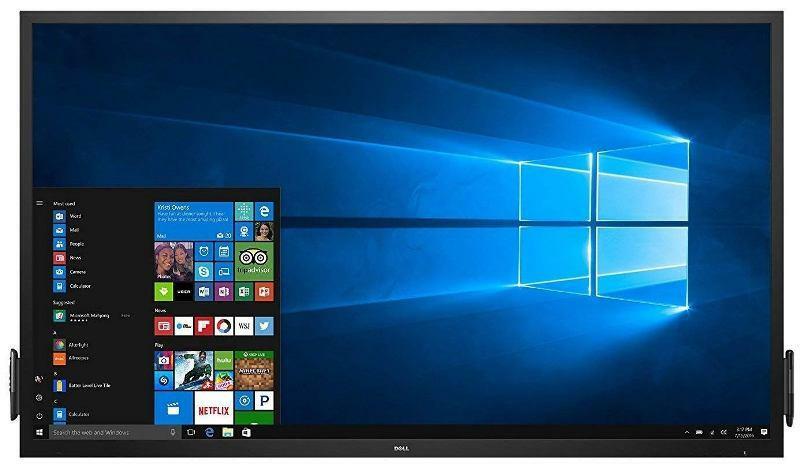 Focused brilliance: Present in Full HD, on a 70-inch screen that conveniently connects to 1920x1080 resolution. Plus, the special coating on the LCD panel reduces reflections and the fingerprints that come with a touch screen setup. 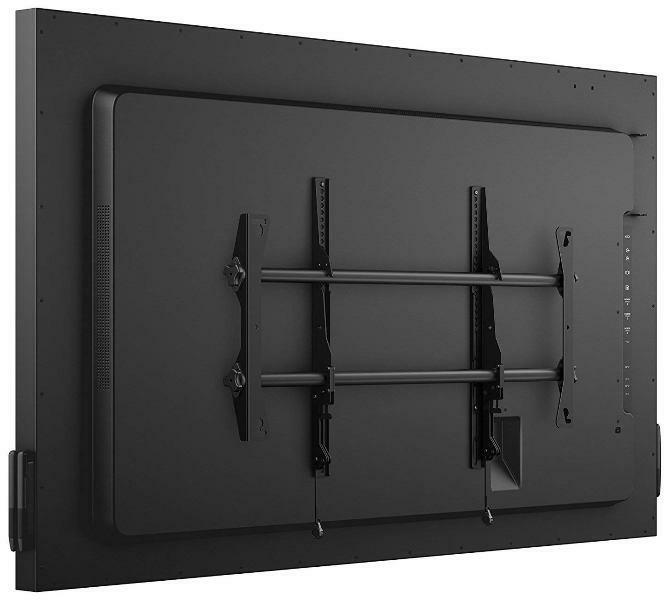 Clear text, graphics and images: Designed for business and educational applications, monitor components will enhance your presentation visuals for incredible readability in both small and medium-sized conference rooms. Bold colors: Colors remain consistent across the wide viewing angle, so every seat is the best seat in the house. Quick to setup and easy to manage, the Dell C7017T Monitor brings seamless collaboration to your conference room. Ready when you are: Connect with ease via multiple connectivity ports including VGA, DP and HDMI. 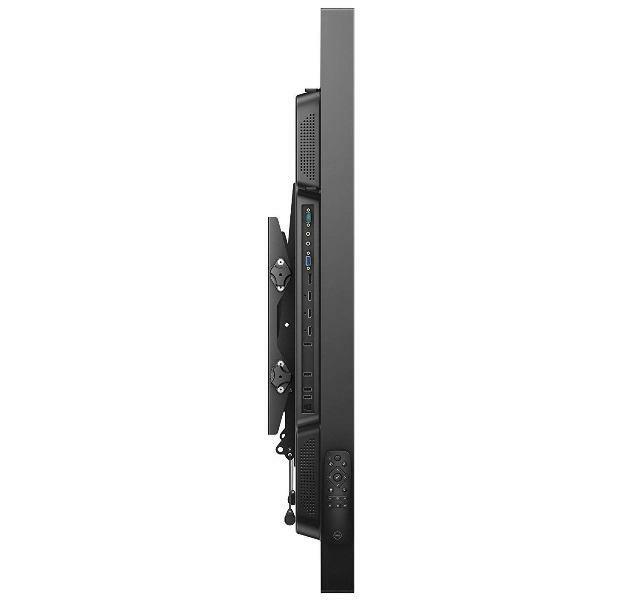 Easy to operate: Run the room and handle your Dell C7017T Monitor with the RS232 and RJ45 interface that supports remote management.